Good news for App Lovers!! Keeping up with all the new apps to hit the scene is a tough job. But you’re in luck: You don’t have to, because each week Mashable rounds up favorite apps and app updates from the week. Some of our favorite new apps this week include one that lets you make your own stop-motion superhero movie using Lego, and an app that makes your Ford Focus sound like the Ferrari of your dreams. For example, if you’re into photos, we found an app that will customize your pics with unique filters for you, allowing you to pick the best one. 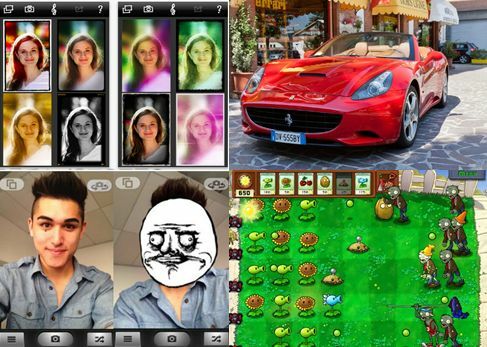 Another app from the week will let you take photos of your friends and turn them into memes.